Has the P22Q been discontinued? I saw one in a gun store and wanted to buy it but was searching online for a better price and I can't find it in stock anywhere. I am really a newbie, so I have been searching and searching which gun to buy. I'm a very small woman and I liked how the gun felt in my hand but then I found the QD model online and think it's a newer version of the P22Q, but am wanting to ask to be sure. So the PP22 QD model is $100 less than the PP22 Q model. Why would a discontinued model be more expensive? I also was interested in the PPQ Tactical but I cannot tell how much bigger it is because I can't find it at my local store. I live in BFE. Actually there are few choices in my area for 22's that I can hold in my hand to get a feel for it. The P22Q fit my hand perfectly. And I'd just like to say, all the PP22Q and the PPQ and the PP22QD's can really get confusing!! Last edited by hayley3; 03-28-2019 at 08:02 PM. 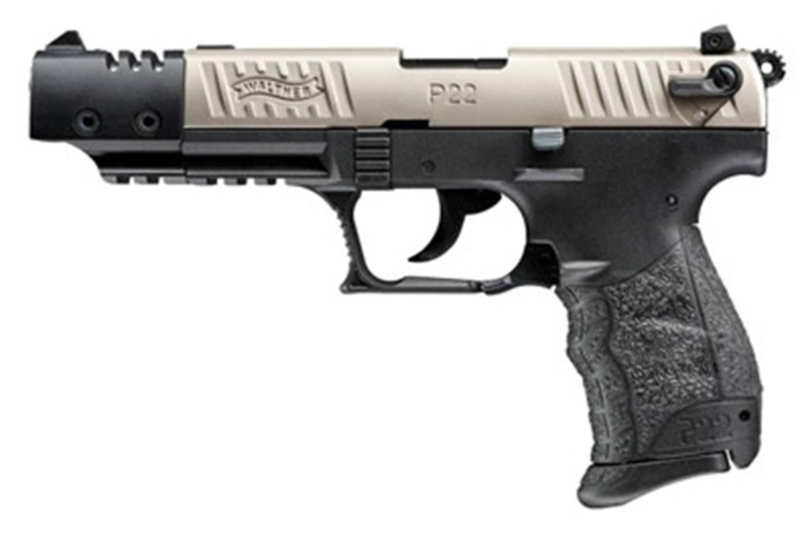 The P22QD is the updated version of the same handgun with a number of improvements. There's no reason to get a P22Q if you're choosing between the two of them. Thanks! I just ordered the QD model. Sadly they didn't have the adapter. The original P22 came out in about 2001. The design was based on the exterior themes of the P99 pistol. These early pistol exhibited many issues including breaking slides. In about 2010 Walther introduced a revised version of the pistol that reflected PPQ design themes. The slide was beefed up and a few other changes were made that improved the pistol such as more rail slots and a few other details. In 2017 I believe Walther introduced the QD model of the pistol. It is essentially a P22 Q model but with a captive recoil spring and a decocking lever located inside the breech block and activated by the safety lever.....very PPK style. All of these models are available with the 3.4" barrel and the 5" barrel with stabilizer. The rear of the pistol from the muzzle back is the same. To upgrade to the 5" barrel target model you simply loosen the barrel nut, remove the 3.4" barrel and barrel sleeve. Install the five inch barrel and matching sleeve, tighten the barrel to the frame in the same manner and with the same barrel nut. Both versions allow a thread adapter to be added should you wish the add a suppressor. The five inch barrel simply protrudes out the end of the muzzle and Walther supplies a clamp on weight they call a stabilizer to cover the end of the barrel, add additional sight distance and muzzle weight. Many people have both barrels. This is a light pistol so a firm grip is required... .22 ammo does not provide a lot of blowback energy. Have fun with it. There is a problem though if you live in CA. Those pistols do not have a removable barrel nut that allow the barrels to be changed or a suppressor to be added. A five in barrel is readily available from Walther in Ft Smith and is easily installed on the pistol. I think they cost around $120. P22 Q model with 5" barrel and stabilizer. P22 QD which is almost identical to any late model Q version. The only difference is a captive recoil spring assembly, red dot when safety lever set to fire, a safety drum activated decocking lever and lower primary hooks on the hammer. I caught it on sale at Ky Gun Co for $225. Someone recently said these are on sale somewhere for $219 at present. Thread here or at Rimfirecentral....I don't remember. They all carry a lifetime warranty in the Sates and prefer snappy ammo like CCI mini mags or Remington Golden Bullets. Weaker ammo in Winchester and some Federal varieties are not powerful enough for reliable cycling of the slide. Last edited by 1917-1911M; 03-29-2019 at 12:22 AM. Budsgunshop charged me $15 for a lifetime warranty...were they supposed to do that? I did buy the cci mini mags when I bought the gun. They also charged me for shipping insurance....afterwards I thought about that...I thought the seller was responsible should the gun get lost in shipment. And I didn't know about Ky Gun Shop and I'm from Kentucky originally and live right on the Indiana/Ky Border. 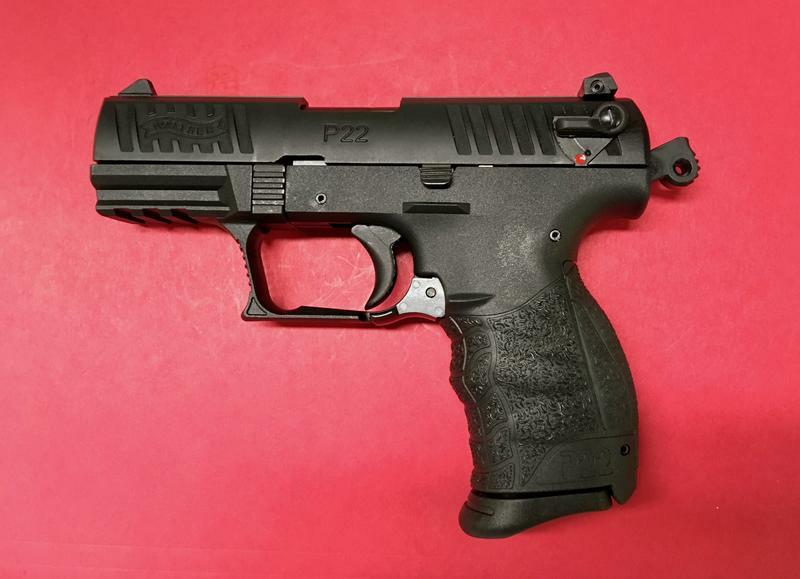 And thanks for the info on the PPQ 22. I wondered if it was full-size, so I'm glad I bypassed that one. Last edited by hayley3; 03-29-2019 at 06:46 AM. Bud's gives you the option of buying their lifetime warranty when you purchase through them. However, it's not necessary since Walther provides a lifetime warranty anyway. It may be worth calling Bud's and explaining to them that you didn't know that Walther offers a lifetime warranty when you paid for it. They may refund it to you, if not, at least you're only out $15. Weird they would offer a warranty when the gun comes with one. Hopefully the gun will work perfectly now that I am double covered. Thanks I wish I had known about them. I was not sure why Bud's charged me tax but then I found out it's because I live in the bloodsucking state of Indiana. Had you purchased a used firearm their warranty might be a good deal if the store is close by. But with a new Walther all of their pistols have a lifetime warranty and the process is pretty painless. Call them, explain the problem and they e-mail a shipping label. Take it to fed x or similar, box it, apply the label and they mail it back to your home address when repaired...usually within a week....so, no need for extra warranty.